In Ratatouille, Remy is a rat with an unusual talent. He loves food, making him an outcast among his rat family, who wants to eat any old garbage. One day, he is separated from his family and ends up in Paris. Guided by the ghost of the great chef Gusteau, he is led to one of the city's most popular restaurants. There, Remy meets Linguini, a young man new to the city trying to make it as a dishwasher at the popular Gusteau restaurant. 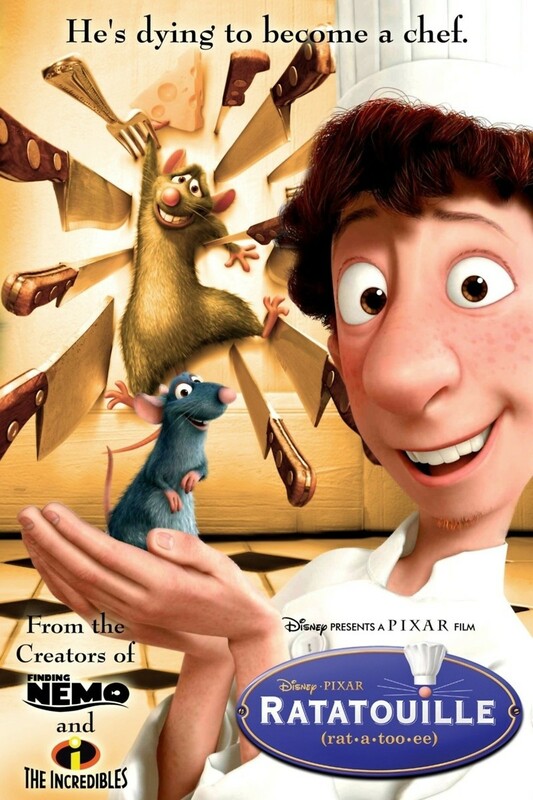 Remy and Linguini team up, with the rat as the mastermind behind delicious new dishes Linguini turns out. The head chef sets out to foil the plan, but eventually Remy and Linguini are successful, launching a restaurant of their own with space for both humans and rats.